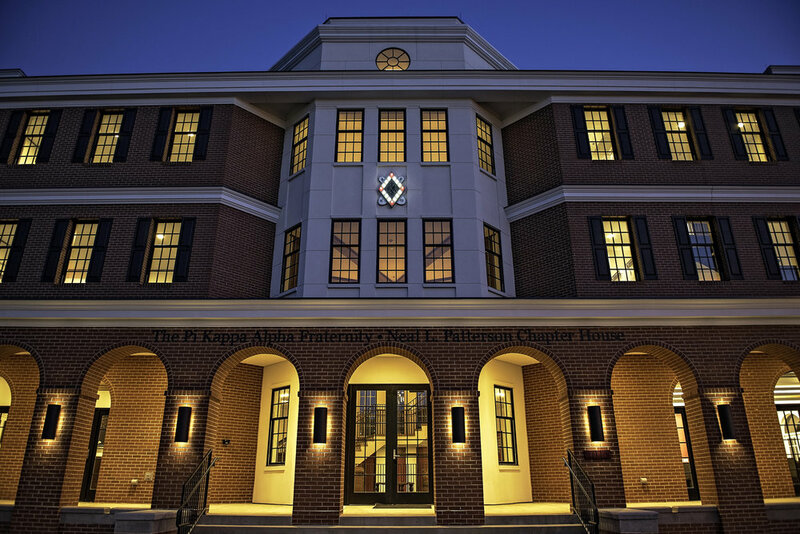 The Pi Kappa Alpha project consisted of demolition of an existing structure near Oklahoma State University campus and construction of a four story (basement and three vertical levels) fraternity house. 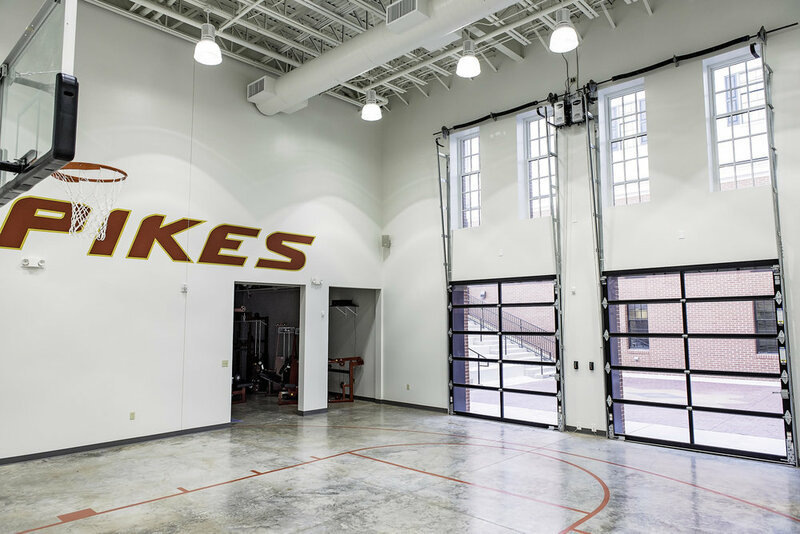 The basement consists of new chapter room, half court basketball gym, weight room, locker room and TV lounge, as well as an outdoor courtyard with amphitheater type seating. The first floor consists of Presidential Library with walnut stained millwork, dining hall and kitchen facilities along with the House Mom’s apartment. Upper levels consist of suite style living quarters, laundry rooms and restrooms. Highly efficient Variable Refrigerant Flow Air conditioning was installed throughout as well as LED lighting.